How do solar inverters work? How Do I Read My Solar Meter? While many people who have invested in solar power use it to generate electricity for the entire home, many property owners take advantage of solar energy to heat their hot water. And in most Australian locations, using the sun's energy to heat hot water is an excellent way to reduce energy costs significantly and have plenty of hot water. Hybrid hot water systems are also a great way to help the environment. 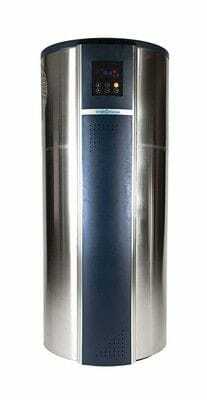 Heat Pump Technology - uses atmospheric heat through a compressor that liquifies refrigerant that heats your water. With a roof mounted system, the solar panels and tank are on the roof of the property. This solution is the least aesthetically pleasing so a roof mounted system is typically used when space for a water tank is a problem. This can also be an option when solar panels are already in place. Roof mounted systems use thermosiphon technology to transfer water from the panels to the tank. While a roof mounted system is a good option, many property owners prefer a split solar hot water system. The aesthetics are more appealing: there's no tank on the roof and the system is located at ground level with unobtrusive slim line solar panels on the roof. To get the water through the panels, a small pump is required; the pump uses very little electricity. Bimetallic strips keep track of the temperature and the pump switches on when there's a 6 degree difference between the panels and the tank. Once the water in the tank reaches the optimal temperature of 85-90 degrees, the pump shuts off. This means that a split system is more efficient than a roof system and is works in high temperatures. For periods of colder or overcast weather, gas or electrical back up can help to maintain adequate levels of hot water for the property. 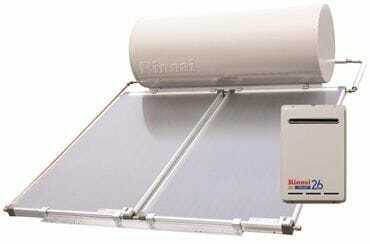 Periodically, the state of Queensland provides rebates and incentives to install a solar hot water system. For many homes, heating hot water is a significant portion of an electricity bill. 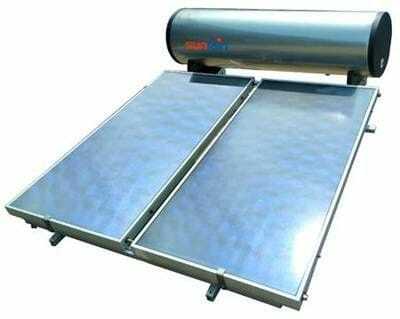 With a solar hot water system, the cost of heating hot water can decrease up to 90%. 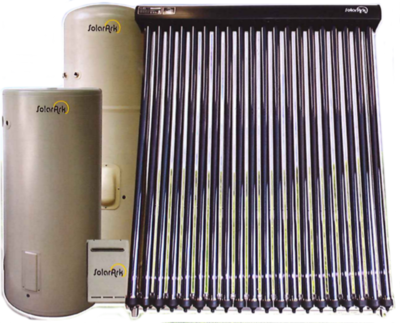 To receive a free consultation about solar hot water system, call us at 1300 783 427 or send an enquiry.